As promised, contributors to Breadonbutter will be sharing more of their experiences on the blog. The first article is a Travel one by the talented and bubbly Carla Richa, a multimedia journalism student at LAU. 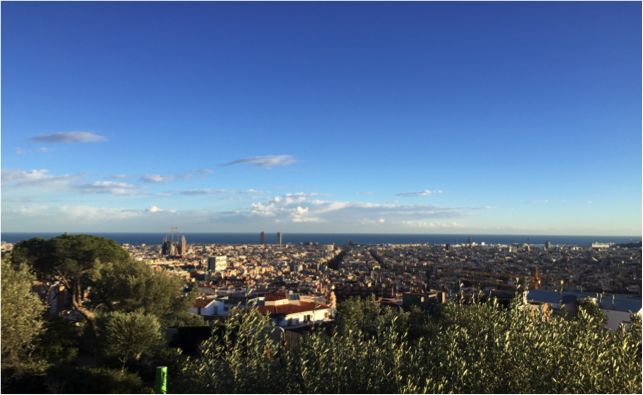 She writes about her days in Barcelona and how it felt to go back after visiting when she was young. Enjoy the read as she takes you through the streets of this colorful city, its culture and the 3 p’s. The first time I traveled to Barcelona was in 2005 where I was 7 years old. Without looking at any pictures there is one memory stuck in my head; it was the numerous human statues standing right after the other on the Ramblas Street. Going to back to this city, I experienced it in a different way where I was much older, and with my friends. This trip introduced me and revived the memories of the lively crazy Barcelona. One could say that this city is totally random where one cant expect or guess whats coming. Every street is different than the other surprising you in every way possible. My apartment, for example, was on a street perpendicular to the Ramblas, the most touristic street in Barcelona. Therefore one would expect it to be full of tourists and hotels, completely safe; however, it was the complete opposite. Youd enter the street at night with scary people walking in it, some drunk on the sidewalk. This is one example of how random Barcelona is. As for the Baroque architecture, it excels in it. The buildings themselves, regardless of the touristic famous sites, were mesmerizing. 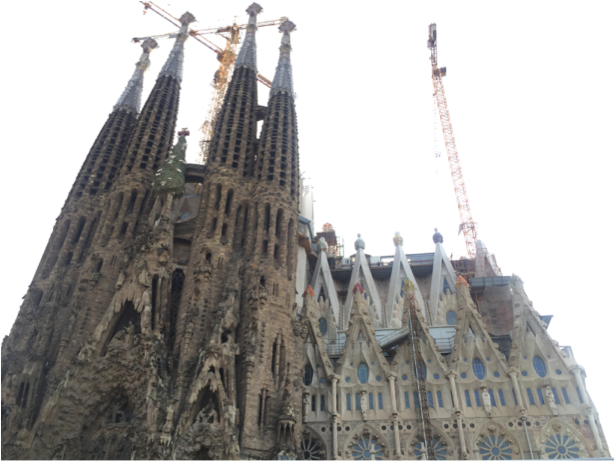 I remember climbing the stairs of the metro into the city to visit the one and only unfinished Sagrada Familia by Gaudi, and turning back to try to spot it. And suddenly this humungous church appears right in front of me. You hear talk about it being the tallest cathedral but seeing it directly makes you realize how tall it really is. 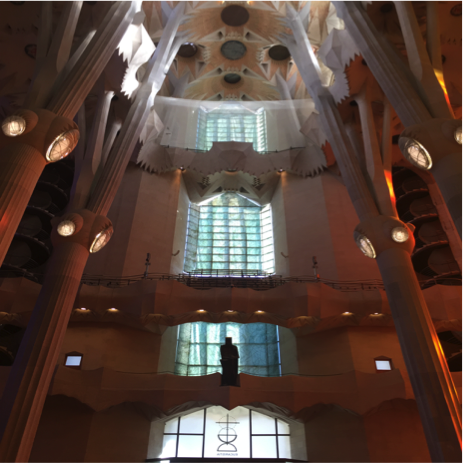 What was even more fascinating was the inside of the Sagrada Familia with its ceiling and huge columns. Gaudi represents Barcelona in every way, being its symbol. His work is spread all over the city from Palao Guel right next to my apartment, to Parc Guel far away from the Ramblas. Every site leaves a mark on you in a different way. 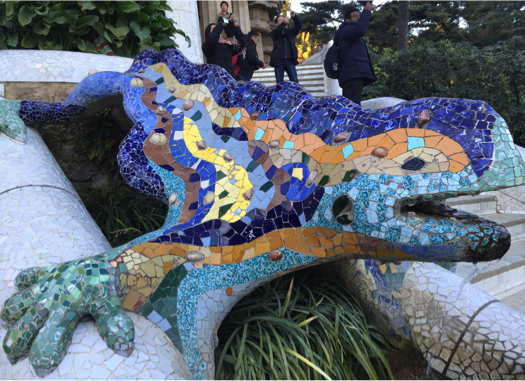 Parc Guel for example, consists of a large park where one can get in touch with nature and stare at the beautiful city and also get to visit some of the most important pieces by Gaudi. Moving on to the best part, the food, Spain equals tapas, meaning mezza in the Lebanese language. The tapas vary between their bravas potatoes, fried squid and octopus, and their ham on tomato spread bread. 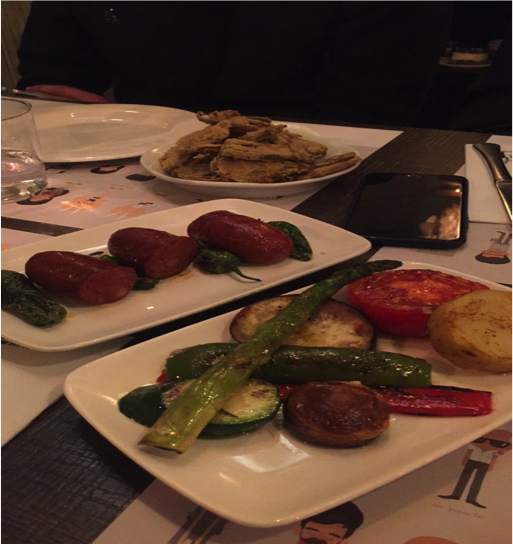 You get to eat a little bit of everything in the tapas from fish, to meat, to grilled vegetables. As for the main dish, one is mostly offered the 3 ps: paella, pasta, pizza. In other words, youd fulfill your nutrient requirements from one meal in Spain. Lastly, Barcelona is a city one must go to. From its craziness to its old history and architecture, a tourist would have thousands of places to visit entranced by each. I also advise you to rent an apartment rather than staying at a hotel. This way youll get to live the true Spanish experience. And here are some pictures for you to get a glimpse. Have you been to Barcelona? Any tips for tourists?